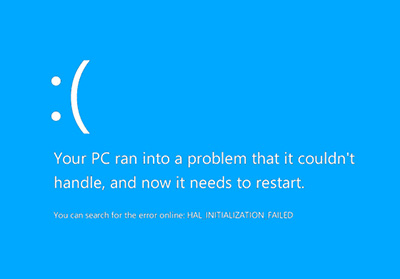 Blue Screen Error or Stop error is common in windows. 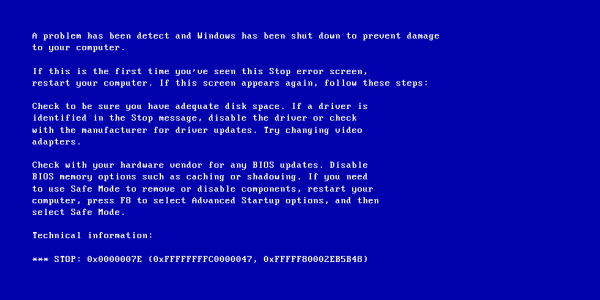 It is also known as the Blue Screen of Death (BSOD), can be a frustrating experience. The error message almost never clearly states what is wrong, and they seem to strike at random. This error usually occurs 2-3 times a year, so don’t panic. If it is occurring more that 3 times, then follow the below steps. In most of the cases the problem occurs only because of the Drivers, so first update your Windows Operating System Drivers. Go to device manager and you can find all the device drivers. Right click on any one of them and click update drivers. OR ,Download a software called SlimDrivers Which automatically detects the drivers and update them. Step 2: Install Best antivirus and Scan your Complete System. You can install Microsoft Security Essentials. It is one of the best antivirus available in internet. Step 3: Run Disk Defragmenter and Error Checking on your Hard Drive. This will also help to increase your systems performance. Step 4: Test your RAM. A main culprit in system crashes is a bad stick of RAM. When RAM fails, it causes the system to become unstable. You can test your RAM by using a program called “memtest86”. This program is available for free online, and is run by burning it to a bootable CD. Reboot your computer and run the program. The memtest software will automatically begin running tests on your computer’s RAM. This may take several minutes to complete. For best results, allow several passes of the test to be completed. Memtest will run indefinitely until you stop it yourself. Step 6: Check for any change in Hardware or any loose connections in cabinet. Finally Restart your system and Run it in Safe Mode. We hope that the error is resolved. If not, then comment below.